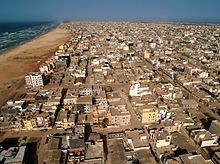 The history of Senegal is commonly divided into a number of periods, encompassing the prehistoric era, the precolonial period, colonialism, and the contemporary era. The Mauritania–Senegal Border War was a conflict fought between the West African countries of Mauritania and Senegal during 1989–1991. 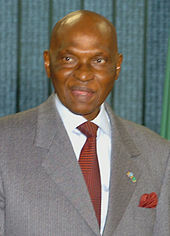 The conflict began around disputes over the two countries' River Senegal border and grazing rights, and resulted in the rupture of diplomatic relations between the two countries for several years, the creation of thousands of refugees from both sides, as well as having a significant impact on domestic Senegalese politics. 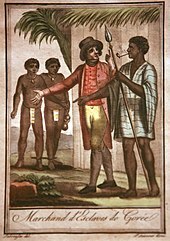 The Wolof people are a West African ethnic group found in northwestern Senegal, The Gambia and southwestern coastal Mauritania. In Senegal, the Wolof are the largest ethnic group (~39%), while elsewhere they are a minority. 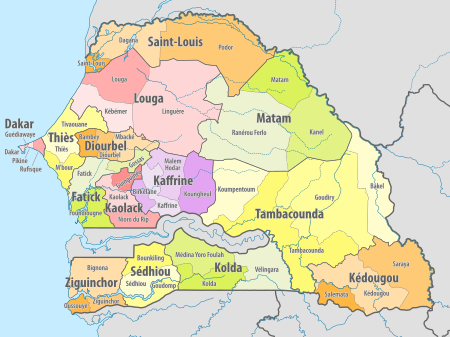 They refer to themselves as Wolof and speak the Wolof language – a West Atlantic branch of the Niger–Congo family of languages. Senegalese wrestling is a type of folk wrestling traditionally performed by the Serer people and now a national sport in Senegal and parts of The Gambia, and is part of a larger West African form of traditional wrestling. The Senegalese form traditionally allows blows with the hands (frappe), the only one of the West African traditions to do so. 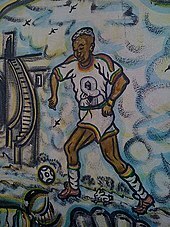 As a larger confederation and championship around Lutte Traditionnelle has developed since the 1990s, Senegalese fighters now practice both forms, called officially Lutte Traditionnelle sans frappe and Lutte Traditionnelle avec frappe for the striking version. There are various ethnic groups in Senegal, none of which forms the ethnic majority in the country. Many subgroups of those can be further distinguished, based on religion, location and language. According to one 2005 estimate, there are at least twenty distinguishable groups of largely varying size. 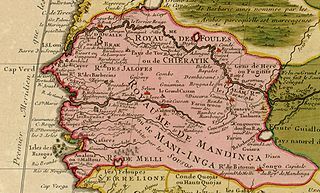 The medieval history of the Serer people of Senegambia is partly characterised by resisting Islamization from perhaps the 11th century during the Almoravid movement, to the 19th century Marabout movement of Senegambia and continuation of the old Serer paternal dynasties. The First Lady of Senegal is the title attributed to the wife of the President of Senegal. 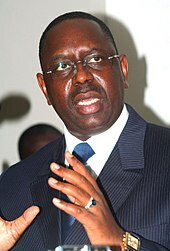 The country's current first lady is Marieme Faye Sall, wife of President Macky Sall, who had held the position since April 2, 2012. There has been no First Gentleman of Senegal to date.